Road Trip - Review - Reading is my ESCAPE from Reality! Good thing that Gus is helping Theo and Mia. Someone's got to keep them straight, and they don't have me. I heard him say that he raised everything on four legs on a farm. 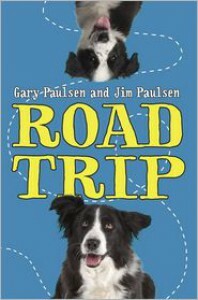 Road Trip tells the story of Ben, his father and his dog Atticus who notices everything. They are on a road trip to rescue a Border Collie puppy. Ben's dad is a spur-of-the-moment kind of guy and it keeps Ben on his guard. On the road trip, they pick up Ben's friend Theo who is a bit of a thug, a grouchy (but lovable) mechanic - Gus, a big yellow school bus, and a feisty waitress who reads auras - Mia. They have an exciting adventure, along with a mystery because something is up with Theo. This was a great middle grade book with likable characters on a fun adventure. Every other chapter is a one page look at what Atticus thinks about the situation. Atticus is a smart dog and very protective of his family. It is so cute to read what Atticus is thinking. The relationships between the characters seem very real. I love how Atticus is more observant than any of the others and how the road trip brings everyone closer together. Great book for 4th through 8th graders, especially reluctant readers and those who like dogs. 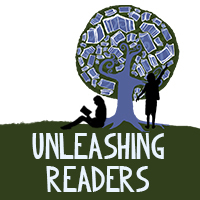 Share book reviews and ratings with Reading is my Escape, and even join a book club on Goodreads. Reading is my Escape has read 0 books toward her goal of 100 books.